Despite being in London for years, I have never been to Brixton. 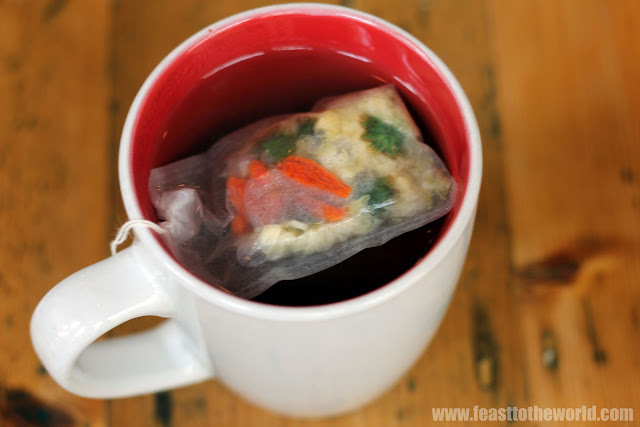 I've heard of it constantly on twitter and food related article and blogs etc. The rising of the Brixton Village and how it's now one of the must-go food destination. 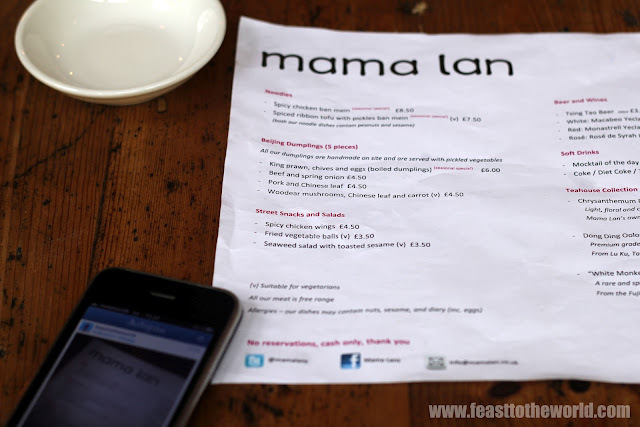 On of the few name that kept cropping up when ever Brixton is mention is the Honest Burger (professed by foodie around as one of the best burger you can have in London) and then there is this - Mama Lan, a quiet and non-assuming little venue situated in the middle of the Brixton Village. I have heard so much good thing that I though I really ought to venture down south, crossing the river to the other side. Walking down the famous Electric Avenue on this love sunny day, I swiftly arrived at the Brixton Village. 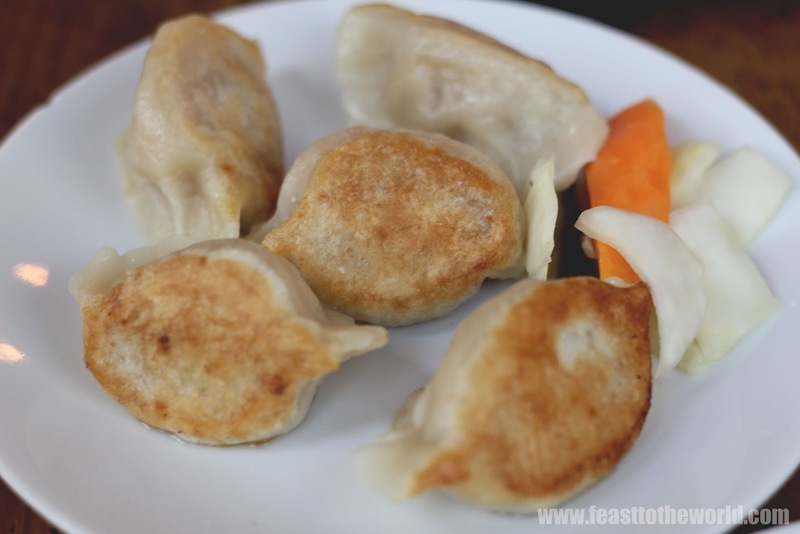 It didn't take me long to find this quirky little dumplings joint. And after deliberating for a brief moment, I've placed my order and patiently await my treats to appear while admiring the skills of Mama Lan herself, rolling the dough and flattening them before filling it up and magically transformed them into these crimped morsels. The speed and dexterity came from years of expertise and it was quite entertaining and mesmerising to watch. Mama Lan's own tea mix of Chrysanthemum, Goji berry and rock sugar tea (£2.50) that first arrived was aromatic and refreshing. This was quickly followed by the Spicy Chiken Ban Mein, a seasonal special was a cold noodle dish typical of the Beijing. 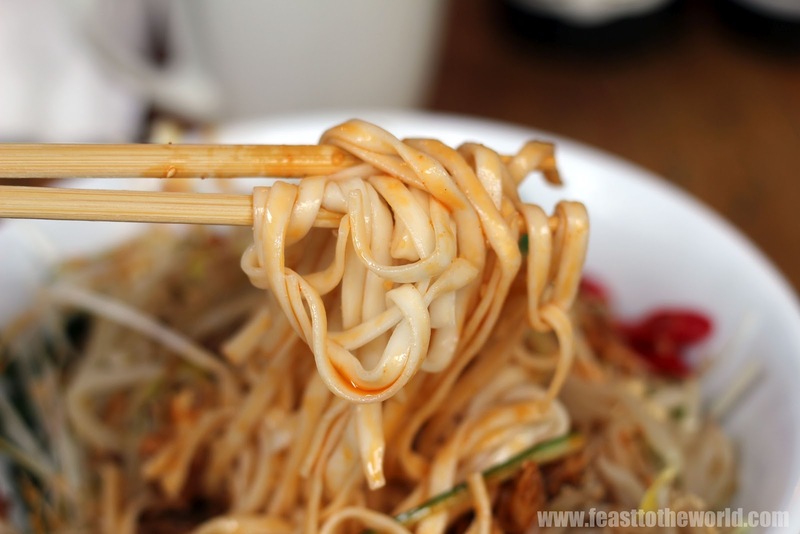 Known as Liang Ban Mian or cold tossed noodles, these are normally served during summertime as a snack for a hot afternoon or evening. The wheat flour noodles war bouncy and has a decidedly nice bite to it. 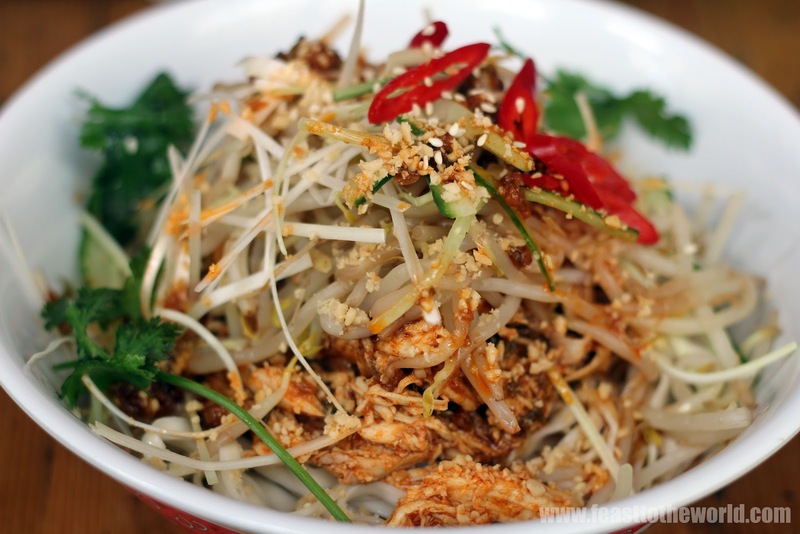 Along with the refreshing mix of crunchy beansprouts, julienne cucumber, shredded cabbage and fresh coriander amongst many other vegetables and these were then flavoured by the spicy chillies and sesame oil dressing over piles of shredded chicken breast. The contrasting textures were delightful. However, the chicken were a tad dry for me (I was never a fan of breast as it's too tricky to get them right) and the dressing had a salty aftertaste that didn't quite agree with me. That said, it was very enjoyable. Another seasonal special was the king prawns, chives and eggs dumpling (£6). Five boiled doughy dumpling that were generously filled and seasoned. The pastry were of the right thickness and there were sweet subtle flavour of the prawns with every mouthful. 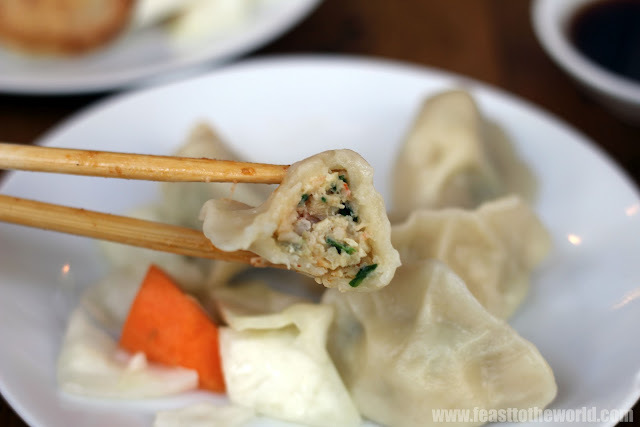 The Pork and Chinese leaf were definitely of the more superior dumpling. This were pan-fried to a nice crispy charred bottom and then steamed to perfection to yield a nice contrasting texture. The pork filling was so juicy that the filling splurted out of the dumpling as I took a bite into these delicious morsels. 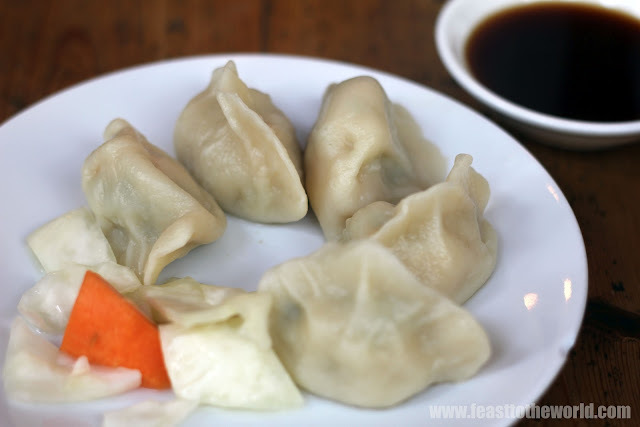 My only complaint was that these were not as well packed as the boiled dumpling but saying that, these were much cheaper but i would have been willing to pay a bit more a generous portion of the delectable and well seasoned filing. Overall, this little gem was a wonderful revelation and discovery. 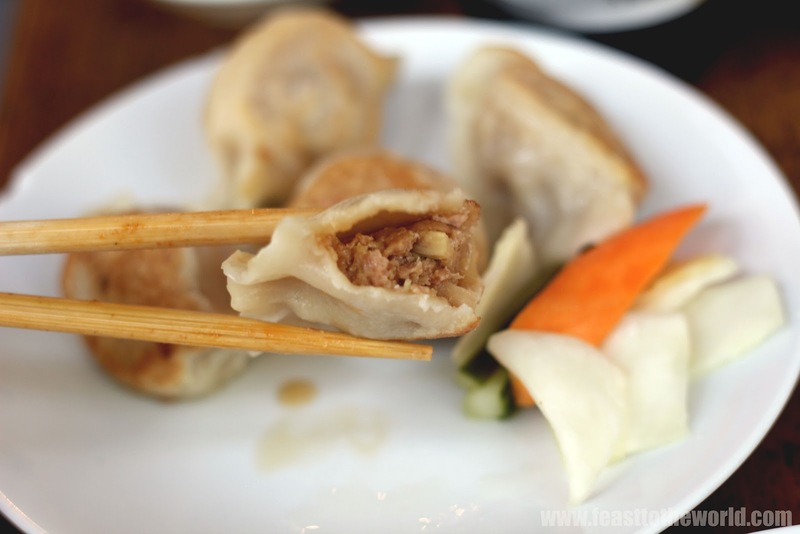 The food were well cooked and prepared and I especially like the fact that all meat used in the restaurant has been procured from the reputable The Ginger Pig so the quality of ingredient is assured. 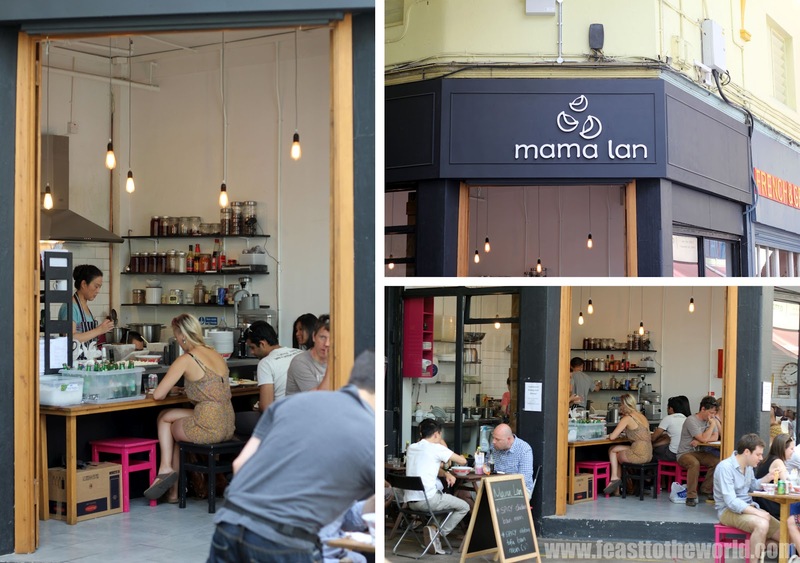 The restaurant offered excellent value for money and without a doubt is a place that is worth visiting a little snack or as part of a Brixton food crawl perhaps as there seems to be a whole lot of nice little venue to eat within the village itself.